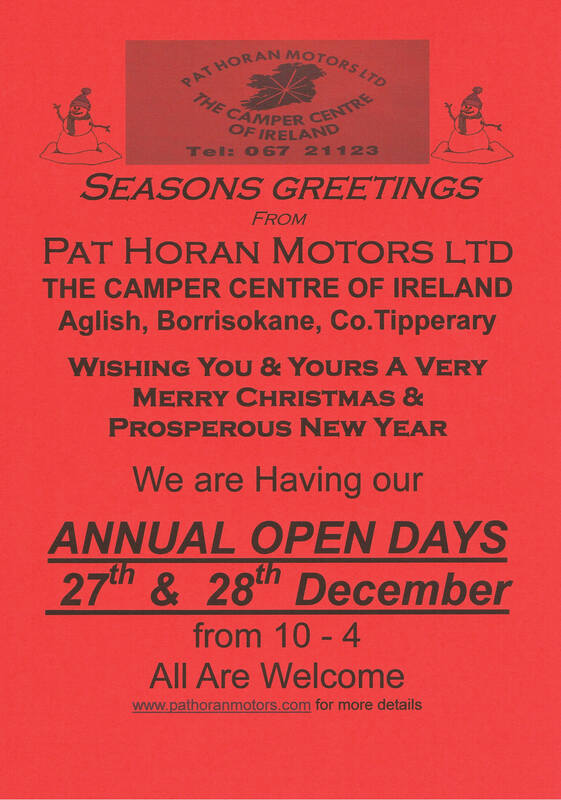 Pat Horan Motors Ltd t/a The Camper Centre of Ireland, will once again have our ANNUAL OPEN DAYS on 27th & 28th December at our yard & workshop , where you will get a chance to view the range of new & used Motorhomes on display. 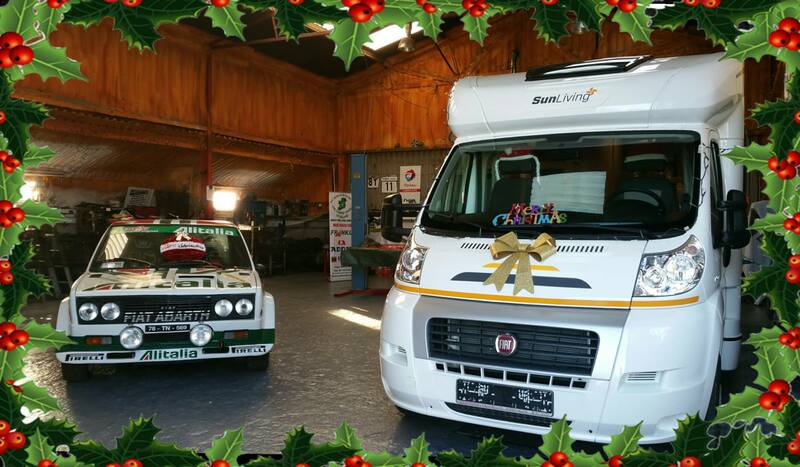 It is hoped to have representatives from some of the camper clubs with us on the day to also offer advice on where to go & what to do. Guaranteed a few surprises over the two days , & lots of tea, coffee & home baking !!! 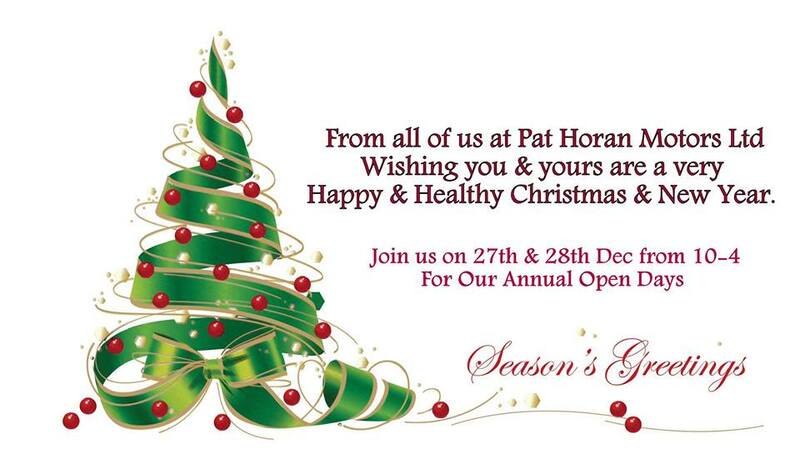 Check out the Pat Horan Motors Ltd Facebook page to keep up to date on details & more information as it becomes available. The event will take place each day from 10am - 4pm so be sure to call in and catch up with old friends or meet new ones.